Eliza Budley is a beautiful widow whose husband gambled away his fortune. Lady Fortescue reminds the others that, to be fair, Mrs. Budley has no relatives on whom she can call. Gentle Mrs. Budley thinks she has escaped her fate until Sir Philip comes up with a plan. He has heard that the elderly Marquess of Peterhouse is senile, a widower, extremely rich, and unlikely to remember whether Mrs. Budley is a relative. 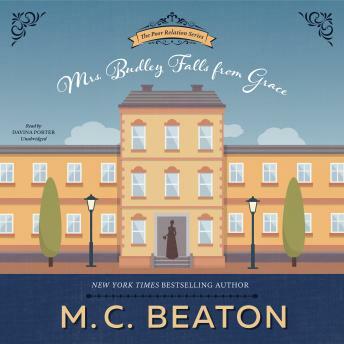 So off Mrs. Budley goes to the bleak castle, where the marquess turns out to be not so old, hardly senile, and in fact quite handsome.The lovable characters from the Poor Relation Hotel return in this sparkling and adventurous Regency from Marion Chesney.